Turner “Tfue” Tenney aka. Not Tfue is growing immensely fast on Twitch at the moment, which can be contributed to several factors. One of the reasons is his popularity with hosting Fortnite scrims and pro scrims in his private Discord server. He calls this server the Peencord and his scrims are called Tfault scrims (referring to his name and the fact that everyone has to wear the default Fortnite skin) or sometimes Peen Scrims. The format is different, there are solo scrims, duo scrims and squad scrims (sometimes called solo snipes, duo snipes, and squad snipes). Scrims and pro scrims is a way for competitive and professional players to practice against each other. Since Fortnite currently does not have a matchmaking system or give out custom matchmaking keys, the only way for people to play against better players is by scrimming. In Fortnite, scrims are done by queuing up for games at the same time, hoping to get into the same servers. Since the Discord is private, there are only two ways that you can join the Discord server and participate in Tfault scrims. First, please note that the scrims are only for people in North America and secondly it is only for PC users. Console players can participate if they play with mouse and keyboard, however. The way you get in is either getting an invitation directly from Tfue or one of his mods or subscribe to his Twitch channel. The last option will cost you the price of a Twitch subscription. Either way, it requires that you have a Discord user (which is free by the way). If you do not want to subscribe, or is a console player or just from another part of the world and still want to participate in scrims, there is luckily a lot of other options. We have previously made a list of Fortnite scrim Discords, but below is also an updated list. If you get into the Peencord and want to do Peen scrims, you need to make sure you understand the rules so you do not get banned. Only default skins (even for pro players). You cannot wear skins like Assault Trooper, even though they look like a default. This is so people playing skins can see who is a scrim player and who is a normal player. If you have TTV/YT/Twitch/YouTube in your in-game name, you need to have streamer mode enabled! No Stream Sniping. Do not open up a stream to try and get someone’s location. Not even to check if Tfue is in your game. Your teammate MUST be a subscriber of either Tfue or Cloakzy and be in the Tfue Discord. If your teammate is banned for breaking the rules, you must find a new teammate. As mentioned earlier, the Peencord is probably one of the reasons to Tfue’s recent success. Since people have to subscribe to get in, he has gained a lot of subscribers recently. In the Discord you can see people like Tfue himself, Cloaksy but also many other pro players like 72hrs, Liquid Chap, other FaZe clan members, Ghost Aydan, Jaomock and many others. Please do not harrass these players, or you will get banned. We hope this article has helped to explain Tfue’s Tfault scrims and if you have any questions, please leave a comment. 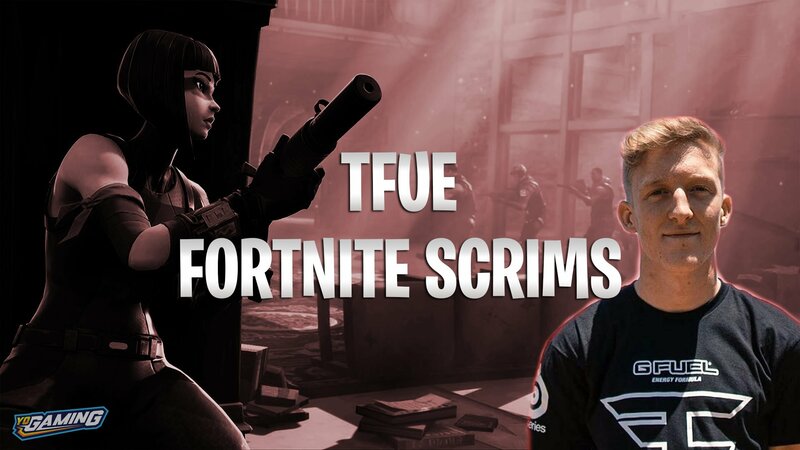 The format varies, and there will be solo, duo and squad scrims at different times (Tfault solo scrims, Tfault duo scrims & Tfault squad scrims).